The EuroMillions is at its highest ever in history towering at an unprecedented €190 million (£148 million) jackpot for the nearing draw this Friday. This European lotto was strong enough to hold its 1st place in theBig until last night when the most recent Powerball lottery drawing pushed it back to the 2nd place when the American lottery announced results late Wednesday night. theBig’s new #1 is currently taken by the US Powerball with a total prize of $253 million, after rolling over for the 13th time and not finding a jackpot winner since the end of June. The results of the Euro Millions draw for Tuesday 7th August 2012. 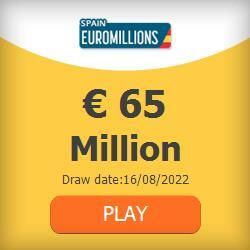 Check for a full prize breakdown of Tuesday’s Euromillions results. The Euromillions jackpot has now reached its cap of £148 million. After 14 rollovers, the EuroMillions is at its cap and, according to the rule change from February 2012, if a 1st prize winner isn’t found, it will roll down to the next prize level with a winner – meaning secondary prizes can be higher than ever. Camelot, the National Lottery operator, announced that a single jackpot winner will immediately become the 516th wealthiest person in Britain, owning a fortune bigger than that of singer Tom Johns, which, according to sources, is £140 million. 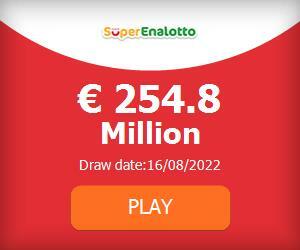 All this means good news for EuroMillions and Powerball fans with huge jackpots coming their way this weekend! Although the European lottery will not roll over again—awarding a guaranteed jackpot prize tomorrow – and bringing its next cap to €195 million, the American lottery most definitely can continue to grow! EuroMillions offers a tax-free jackpot and guarantees to be distributed on Friday night, both terms not available for Powerball players. As these two lotteries continue to battle for the top spot in theBig, players benefit from some of the highest jackpots in the world.